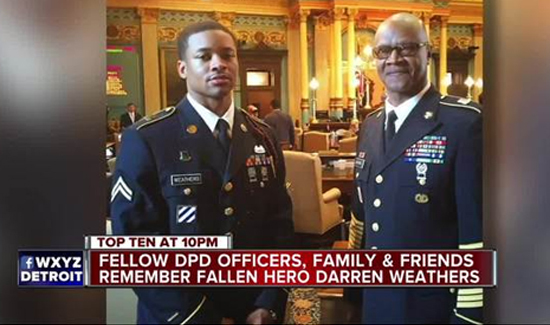 Detroit Police Chief James Craig says 25-year-old Officer Darren Weathers died at a hospital following the collision at a Detroit intersection about 11:30 a.m. yesterday. The fatal accident apparently occurred during a training exercise. Weathers recently received a medal of valor after coming to the aid of his partner who was shot while the two were on duty together last April.